Dr. Strangelove Or: How I Learned To Stop Worrying And Love The Bomb is Stanley Kubrick's Cold War masterpiece. Based on the novel RED ALERT by Peter George, the film is set at the height of the tensions between Russia and the United States, when all it would take to destroy the world was one push of a button. And General Jack D. Ripper (Sterling Hayden) is just the man to do it. Convinced that the Russians have infiltrated America's "vital essence," the crazed Ripper gives the go code to the 843rd bomb wing to attack Russia, setting in motion a series of darkly hilarious vignettes involving gung-ho soldiers, wacky generals, spying Russians, drunken premiers, battles with soda machines, fights in the War Room, and the Russians' top-secret Doomsday Machine. 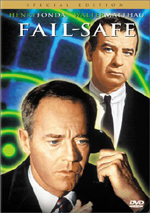 Shot in black and white, the film has three main centers of action: one of the B-52 bombers, on which a group of loyal men know they are about to start World War III; Burpelson Air Force Base, where Group Captain Lionel Mandrake (Peter Sellers) is trying to convince everyone that Ripper has gone mad and the bombing must be stopped; and the War Room, where President Merkin Muffley (Sellers again) is trying to make peace with the Russians. The finale featuring Sellers as Dr. Strangelove is a comic gem. Hayden, George C. Scott, Slim Pickens, Keenan Wynn, and Sellers (in three roles) are especially terrific in what may be the funniest, most poignant black comedy ever made, a vicious satire on the farcical aspects of the military and the cold war. With the new release of Dr. Strangelove, or: How I Learned to Stop Worrying and Love the Bomb, I tried for the umpteenth time to actually like Stanley Kubrick’s famed black comedy. It didn’t work. To be sure, I definitely don't think that Strangelove is a bad movie, but I find it to be a profoundly overrated piece. Strangelove tells a story of threatened nuclear annihilation, but it does so in a comedic way. The movie mainly takes place in three different locations. There’s Burpelson Air Force Base, where nutbag General Jack D. Ripper (Sterling Hayden) has overstepped his authority and put “Plan R” into motion. That initiative will drop nuclear bombs on the Soviet Union, as delivered by a number of planes. The second main location is on board one of these crafts; headed by goofy Texan Major T.J. “King” Kong (Slim Pickens), this crew is determined to get drop their payload on the Russkies. The final location goes to the heart of American power in the fictional “War Room”. There we find President Merkin Muffley (Peter Sellers), a mild-mannered sort who tries to work through this chaos with the “help” of hawkish General “Buck” Turgidson (George C. Scott) and the titular Dr. Strangelove (Sellers again), a former Nazi scientist who discusses way to continue the human race after the bombs fall. Strangelove alternates among the three settings. Back at Burpelson, Ripper’s RAF aide Group Captain Lionel Mandrake (Sellers again again) tries to reason with him so he can acquire the code that will recall the bombers, while other US military forces try to take over the base to stop Ripper. On board the plane, we see the preparations of Kong’s crew, while in the War Room, the president and the others discuss their options and communicate with Soviet officials. The scenes on the plane easily provide the least compelling of the bunch, at least until the film reaches its famous conclusion. Little of real interest happens between Kong and his men, although Pickens’ personality makes the segments more enjoyable. Nonetheless, these parts can get pretty dull, especially since Kubrick subjects us to far too many tedious shots of the plane as it flies past us. The portions that take place at Burpelson are much more interesting, largely due to Hayden’s gruff performance as Ripper. He spouts insane nonsense with the utmost conviction and barely lets on that the material is comic. Sellers plays it pretty straight as Mandrake, the least interesting character of the three he plays; Muffley is also dull, but he gets better lines to read. Mandrake mainly exists to contrast against the other participants he encounters, such as inanely “by the book” Colonel “Bat” Guano (Keenan Wynn). Most of the film’s best-regarded sequences take place at the War Room, where Muffley seems to be the only truly sane person involved. Turgidson is a childish loon, while the good Doctor appears to have visions of a Fourth Reich dancing in his head. The Soviets aren’t much help, as Muffley endures comically pointless phone calls with their premier. At its best, Strangelove can offer some amusing material. Most of the humor derives from the performers themselves; as I’ll explain, I found the source material to be pedantic and obvious. However, the actors overcome these flaws with some strong results. Of the three roles played by Sellers, Strangelove is the only “showy” one, but he excels in all of them and he nicely displays what a chameleon he was; if you didn't know it was Sellers, I doubt you'd recognize that the same actor played all three roles. While all of the acting in the picture is good, I have to admit that I enjoyed George C. Scott's work most of all. Scott's not someone who's usually thought of as a comedic actor, so it's fun to see him let loose in that kind of role. He plays the part broadly but never goes too far; I can't say that his work was grounded in realism, but he manages to keep the character's excesses under control. Wynn was also excellent as the excessively serious Colonel Guano; he brings dry humor to lines that otherwise should have fallen flat. While I’ll probably be slammed for my opinion, I really think that the great acting is all that holds Strangelove together. Many applaud its “clever” take on the insanity of the arms race, but I think the movie lacks a great deal of incisive commentary. The puns of the character names get old quickly, and I felt the movie had a preachy, smarmy tone that made it less compelling. Kubrick repeatedly tells us that the competitive and combative paths followed by the Soviets and the Americans were stupid and suicidal. Okay - how about teaching us something we don’t know? I recognize that these sorts of opinions may not have been widespread at the time, and Strangelove earns points for its somewhat innovative approach to political satire, but some act as though Kubrick invented anti-war commentary. That just isn’t the case. Made virtually simultaneously, Fail-Safe took a very similar - though dramatic - view of the subject. The lack of subtlety loses Strangelove some credit. Many seem to adore the oft-quoted line: “You can't fight in here, this is the War Room!” That’s supposed to show deft wit and insight about the stupidity of military institutions? These sentiments are compounded by some shots at Burpelson. In these combat takes place before signs that read “Peace is our profession” and similar sayings. Some seem to regard these scenes as subtle and clever, but I thought they were excessively obvious. Good satire shows an understanding of its subject and lacks condescension, but with a couple of exceptions, Kubrick never treats his characters as much more than dimwits and in no way demonstrates a comprehension of the situations. As such, the film takes an absolute view of right and wrong that makes it seem simplistic. Yes, a lot about politics is asinine, and the subject remains ripe for parody. However, I felt that Dr. Strangelove lacked the subtlety and “feel” for the subject to qualify it as a great film. Does the movie work? Yes, but mainly because of some highly-entertaining performances from the actors. Otherwise, I thought too much of the movie came across as smug and arrogant; it felt much too self-congratulatory for my liking. The picture mocks its subjects but offers no better ideas of its own. 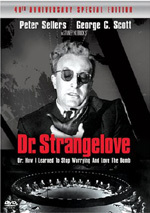 Dr. Strangelove appears in an aspect ratio of approximately 1.66:1 on this single-sided, double-layered DVD; the image has been enhanced for 16X9 televisions. Those dimensions altered what appeared on prior versions, which varied between 1.33:1 and 1.66:1. Some controversy has greeted this decision; as with much connected to the Kubrick catalog on DVD, it’s often tough to get a straight answer about the subject. I’ve seen no indications that the new aspect ratio causes problems or differs from the film’s theatrical release, though. Despite the new anamorphic transfer, don’t expect wondrous improvements over the prior DVDs. For the most part, I thought the new Strangelove looked a lot like the old ones and offered only moderately stronger visuals. Sharpness generally seemed positive. Most of the movie appeared fairly crisp and well-defined, with some mild softness on display at times. Unlike the non-anamorphic transfers, I noticed no problems with jagged edges or shimmering. Light edge enhancement popped up at times, though. Black levels looked nicely deep and dark throughout the film. These tones showed no tendency to appear gray or washed-out, and shadow detail seemed very good. Low-light scenes were appropriately delineated but not excessively thick. The main problem on display during Dr. Strangelove stemmed from print flaws. The movie showed an awful lot of defects. During much of the picture, these stayed relatively minor, though they affected a high percentage of the film. On many occasions, speckles, and grit could be observed. A strangely high level of grain showed up as well, even during scenes that usually don’t demonstrate that element. I expect and accept grain easily during low-light shots, but Strangelove featured many broad daylight images that suffered from a lot of grain. The greatest concerns popped up during special effects or stock footage, most of which involved shots of flying planes. Those scenes consistently looked badly worn. I saw examples of scratches, blotches, running vertical lines, nicks, and the other flaws also witnessed during the main body of the movie. As I noted, the majority of the film didn’t look at bad as these effects shots, but the image consistently displayed a variety of distracting defects. The image seemed a little cleaner and tighter than the prior discs, but it still suffered from quite a few problems, so I didn’t think it merited a grade above a “C+”. While the prior versions of Dr. Strangelove presented only the film’s monaural soundtrack, this one included both Dolby Digital 5.1 and DTS 5.1 mixes. Don’t expect any noticeable differences between the pair, as I thought the two sounded identical. Also don’t expect any auditory fireworks from the 5.1 mixes. They largely remained monaural, with only minor use of the other channels. The shots on-board the B-52 offered the best utilization of the soundfield. Those opened up the sides and rear speakers to provide a nice sense of environment, with the plane’s hum all around the spectrum. A few of the battle scenes also broadened the mix, and occasional examples of localized speech occurred. The soundfield didn’t go hog-wild, but it presented a moderate expansion of the material. As a whole, the mix sounded dated but decent. Dialogue came across as a little brittle and thin but usually appeared acceptably accurate with no problems related to intelligibility. Effects sounded clean and relatively realistic, though they lacked great depth. Some decent bass popped up for louder bits like the bomb blast at the end, but not much else occurred in that domain. The film’s simple score - which consisted mainly of martial drums and trumpet - was clear and without any shrill or distorted qualities. This track sounded a lot like the prior monaural mixes, but the lightly expanded soundfield knocked my grade up to a “B-“. This two-disc set represents the third DVD release of Strangelove. The first came without substantial extras, while the second added a decent mix of components. This new one includes most of the pieces from that set as well as some new components. I’ll note bits new to this set with an asterisk. All of the extras appear on DVD Two. This area includes The Art of Stanley Kubrick: From Short Films to Strangelove. This 13-minute and 45-second show takes a quick look at the director’s early career. We see these years through a mix of film clips, photos, and interviews with a variety of co-workers and critics. The latter add the most value to the show, as we hear a lot about Kubrick’s early work and learn how his style evolved. Ultimately, the piece is too short, and it should have gone further into Kubrick’s career; as the title indicates, the program ends with the completion of Strangelove, which means we hear nothing of his later films. Despite those flaws, “Art” offered a solid little overview that proved fairly enlightening. Even more compelling and informative was Inside the Making of Dr. Strangelove, an excellent 46-minute documentary. This show follows the same format as “Art” and it shares many of the latter program’s commentators. We hear from a surprisingly rich mix of Strangelove participants such as production designer Ken Adam, editor Anthony Harvey, and art director Peter Murton; since all of the lead actors are dead, that area lacks depth, but we do see James Earl Jones and Tracy Reed. I learned an awful lot about the making of Strangelove, and this program provides quite a few interesting details about the film. One of three programs new to this set, *No Fighting in the War Room Or: Dr. Strangelove and the Nuclear Threat, a 30-minute and one-second program. 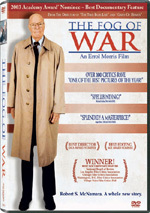 It includes remarks from Kubrick’s one-time partner James Harris, former Secretary of Defense Robert McNamara, Washington Post assistant managing editor Bob Woodward, directors Spike Lee and Joe McGrath, editor Anthony Harvey, film critic Roger Ebert, James Earl Jones, and Sellers/Kubrick biographer Alexander Walker. 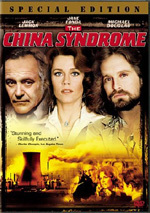 The program discusses the atmosphere of the Cold War era, antagonism between the Soviets and the US, the concept of “deterrence”, the fragility of the system, the early development of the story and the choice to make it a comedy, policies in the event of a nuclear attack, “acceptable losses”, the film’s original ending, and the film’s continued relevance. My main complaint about “Threat” comes from the excessive use of Strangelove clips, as they add little to the piece. Otherwise, this offers a thoughtful look at the era in which the movie was made. It covers the concepts well and presents an informative examination of the reality behind the flick. Next we see *Best Sellers Or: Peter Sellers and Dr. Strangelove. It goes for 18 minutes, 25 seconds as it presents an examination of the versatile actor. We hear from Ebert, Harris, Harvey, McGrath, Walker, Lee, Woodward, Jones, actors Michael Palin and Shirley MacLaine, Sir David Frost, and director Richard Lester. “Sellers” gives us a basic biography of Sellers, his development as a performer and career, his traits as a performer, the collaboration between Sellers and Kubrick, Sellers’ vocal inspirations, the possibility that Sellers would have played a fourth character in Strangelove, and Sellers’ career after this flick. Overall, “Sellers” provides a fairly basic look at the actor. It combines occasional examples of good tidbits but largely feels like a puff-piece to praise the glory of Sellers. Nonetheless, a mix of cool elements appears. The best one comes from a Sellers audiotape that includes a chat between the actor and a German photographer who clearly acted as the inspiration for Strangelove’s voice. After this comes *An Interview with Robert McNamara. This 24-minute and 24-second set features the subject of The Fog of War as he discusses the heat of the Cold War, nuclear policies, the real potential for nuclear war during the era, nuclear deterrence, the possibility of accidents, “acceptable losses” and lessons of the Cuban Missile Crisis. Some of the snippets repeat from the “Threat” program, but this piece allows McNamara to expand on the topics substantially. It’s interesting to hear McNamara delve into subjects relevant to Strangelove without cuts or other constraints. The final video piece shows some canned interviews from 1963. These took place on the set and featured actors George C. Scott and Peter Sellers. At that time, “open-ended” interviews were popular. Through this, your local TV dude could pretend to talk directly to Scott and/or Sellers via scripted questions. These were used more frequently on radio shows, but these clips show a split-screen format in which your TV person would be inserted on the left side of the screen. There’s little information to be gleaned from the seven minutes and 15 seconds worth of clips, and the presentation seemed a little annoying since we hear none of the questions themselves - we just get the answers - but it’s a cool historical addition nonetheless. An Original Advertising Gallery displays nine stillframes worth of promotional artwork, while the Previews section offers ads for Dr. Strangelove, The Bridge on the River Kwai, Fahrenheit 9/11, The China Syndrome, From Here to Eternity and On the Waterfront. The borderline-useless Filmographies provide very basic listings for Kubrick, Sellers, Scott, Hayden, Wynn, Pickens, and Jones. Although this set omits the prior one’s booklet, it adds a *collectible scrapbook. It presents a short 1999 essay from Roger Ebert and a series of glossy stills from the movie. It’s not a great piece but it’s worth a look. All in all, the new release of Dr. Strangelove offers a nice little package. Clearly it’s not an exhaustive special edition, but it gives us a good look at a famous film. Frankly, I don’t think the movie deserves its reputation, but it can be funny and entertaining. The DVD features picture and sound that moderately improve on the prior editions, and it includes a nice roster of extras that also adds to previous releases. Those new to the film should go with this copy instead of the old ones; there’s no reason not to choose it other than price; the 2004 set retails for $15 more than the single-disc special edition. For owners of one of the prior discs, the question is less clear. The new set presents superior picture and audio, but they don’t radically outdo the old versions. The extras also add to the earlier special edition’s information, but not in a stunning manner. The 40th Anniversary Strangelove is definitely the best one, and if you have a widescreen TV, it becomes more worthwhile as an upgrade. If nothing else, those folks will be happy to lose the bars on the side of the screen. If you’ve got a standard 4X3 set, though, I think the older DVD will suffice.